This year’s edition will focus on sustainability, specialization and new technologies, features that are transforming the industry, and which will be the central theme of a strong offering aimed at improving tourism management, trade contacts, and the promotion of destinations and traveller experiences. All this comes together in a single platform, and at the beginning of the year, a key moment for defining strategies for the whole of 2019. The favourable business conditions that these figures indicate will be well reflected in FITUR 2019, which this year will attract 886 stand-holder exhibitors, a growth of 8.3%, and 10,487 companies from 165 countries and regions. 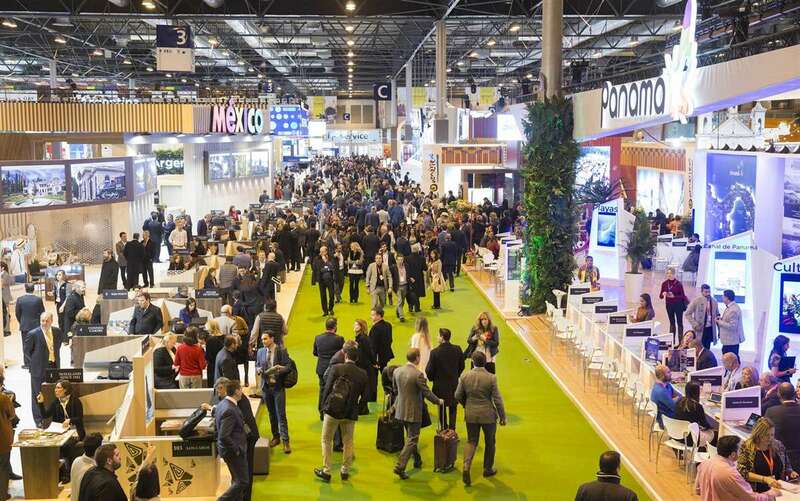 Based on current upbeat industry forecasts, FITUR 2019 expects to exceed last year’s 251,000 attendees, itself a record number that included 140,120 trade visitors from around the world who came to the last edition. 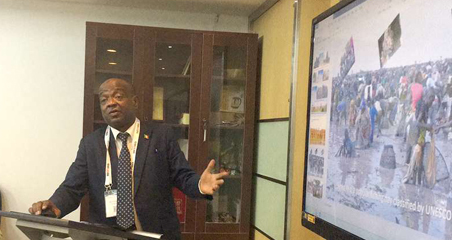 This has also motivated the expansion of the programme for international buyers at FITUR, especially the MICE sector, with the new FITUR MITM - MICE & BUSINESS. This growth will also boost the economic impact of FITUR on the city of Madrid, which is forecast to be over €325 million, with hotels fully booked and tourism-related businesses ready. Even just the FESTITUR programme, which since 2015 has organised Noche Madrid (Night Madrid), forecasts that it will generate a turnover of €15 million, in the leisure, food and entertainment sectors. With its vocation to innovate and provide value-added content for the international tourism community, FITUR has launched the FITUR NEXT Observatory. This initiative aims to identify future trends in tourism and highlight patterns and models in tourism that can be useful for the economic, social, cultural and environmental fields, and to provide a better experience for visitors and residents, develop destinations and maintain environmental stability by leveraging the large amount of information and initiatives that come together at the fair, and its impact on the world tourism industry. This project will run over the coming three years, and will seek to involve companies, organisations, destinations ... in a global dialogue that will allow us to look ahead to the challenges of tourism, present and future. Another of FITUR’s themes is the programme of B2B meetings, organised to encourage business contacts and exchanges. One of these is the Workshop Hosted Buyer which will include some 6000 appointments between 110 international buyers from 38 countries invited by FITUR and 350 participating exhibitors and co-exhibitors. In addition to these there are B2B activities in Investur, in the FITUR Health section, and new this year, FITUR MITM - MICE, co-organised with GSAR/MITM. The latter event expands the business opportunities for the tourism sector for Meetings, Incentives, Conferences, and Exhibitions (Mice) with a schedule of appointments between exhibitors and a selection of leading international managers (corporate, incentives organisers, event and conference organisers, and international associations). Overall, FITUR expects more than 7000 business meetings in this forum. 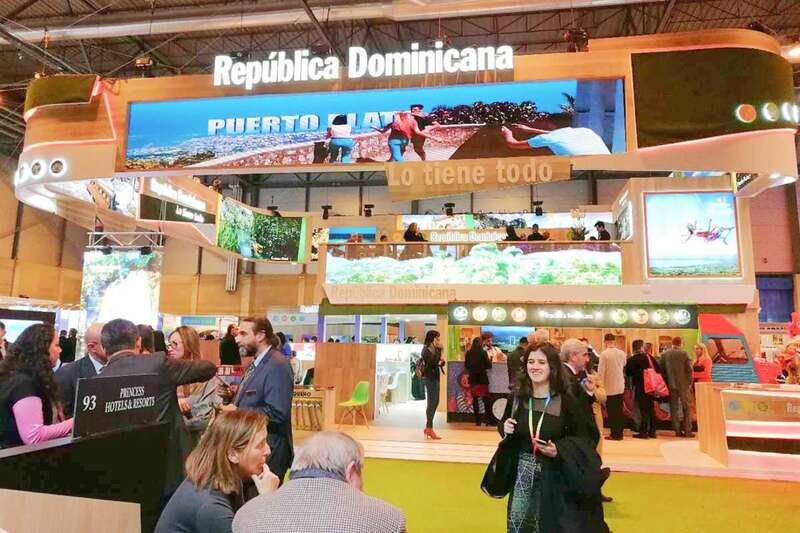 FITUR also continues to improve the quality of its offering by introducing new vertical markets that represent employment, business and growth for the tourism industry. This is the case of the new special-interest section, FITUR CINE/SCREEN TOURISM, organised in collaboration with the SPAIN FILM COMMISSION. 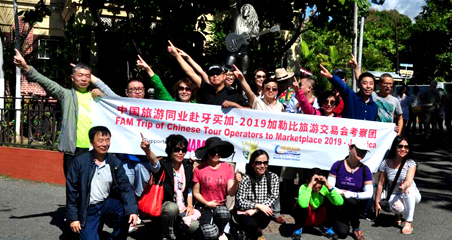 It aims to bring the film industry and tourism together on a shared platform to promote destinations and location visits, and to show the potential of this rising trend. A study published in April 2018 by TCI Research revealed that 80 million travellers choose their destination based on films and television series. This study showed that the number of people travelling to a destination after seeing it in a film or television series has doubled over the last five years. FITUR’s growing specialisation will also be reflected in the other sections that make up this year’s offering, with special accent this year on FITUR FESTIVALS and the new cultural undertaking FITUR ES MÚSICA (Fitur is Music). The latter event is a festival of urban and alternative music organized in collaboration with Planet Events and Disorder, with media coverage from Radio 3 and Mondo Sonoro, held on Friday 25 and Saturday 26 January, in Hall 1 of Feria de Madrid. FITUR IS MUSIC’s staging will be at the same level as any other major festival, typical of large indoor concert venues like IFEMA. The 5400m² space will have a single stage, 18 metres wide and 14 metres deep, backed with more 80,000 watts of sound and 100 lighting fixtures for a spectacular show, and a LED screen bigger than 100m², all operated by a first-class technical team. FITUR FESTIVALS will also present a section in Hall 3, organised in collaboration with the Association of Music Promoters (APM), showing the opportunities for growth and expansion that festivals can bring to the tourism business. And today the live music business is doing better than ever. In 2017, the industry increased revenues for the fourth consecutive year when 2016’s take of €223.2 million rose to €269.2 million, even higher than in 2012. Part of the key to this success has been music tourism, especially around festivals, which has emerged as a headline tourist attraction. Spain’s ten main festivals alone bring together almost 1.85 million people. FITUR FESTIVALS will have an exhibition area and a stage for exhibitor companies to give presentations, and on which APM will organise four panel discussions addressing the challenges and opportunities of festival tourism. 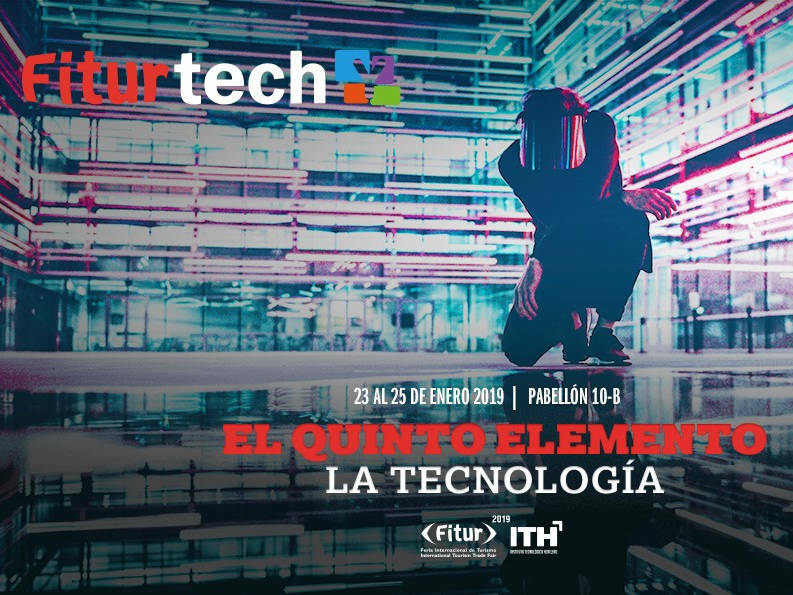 This will also have a special interest programme to show how new technologies can connect with our emotions in the FiturtechY 2019 section, organised in collaboration with the Hotel Industry Technology Institute (Instituto Tecnológico Hotelero, ITH). There will be a truly leading-edge event entitled “The Fifth Element: Technology,” in Hall 10 on the 23, 24 and 25 January. There will be four simultaneous forums. They will focus on: tourist destinations in #techYdestino, future trends in the tourism sector in #techYfuturo business management in #techYnegocio, and sustainability in #techYsostenibilidad, all with technology as their common theme. The centre of FiturtechY will be the place for the presentation of #techYhotel, in which trade visitors will be able to see and experience the use and implementation of new technologies and innovative tools in an hotel environment. To complete the offering there will be a programme of Smart Talks analysing different aspects of smart tourism and smart destinations, and a session to analyse the Sustainable Development Goals and how they apply to the tourism business, together with the Spanish Network of the United Nations Global Compact. For the first time this year, FITUR GAY (LGBT) will feature the participation of New York City, Portugal and Thailand. On this occasion, with the slogan “Stonewall, New York, 50th Anniversary,” this space, organized in collaboration with the consultant LGBT Diversity Consulting International, presents the most emblematic destinations of this tourism segment, its new developments and products. There will be different panel discussions, debates and presentations with the participation of sixty speakers and will have an extensive recreational programme with musicals currently running in Madrid, DJs, singers and shows from around Spain. FITUR SALUD (FITUR HEALTH), which as in previous years is being organised by the SPAINCARES cluster, highlights the growth of the international presence, in parallel with the development of global health tourism itself, with an average annual increase of 20% worldwide, and a turnover in Spain that already exceeds €500 million. FITUR SALUD will showcase the current health tourism offering in its exhibition area, and will have a B2B meeting area, a B2C space for free demonstrations for the general public, and sessions with talks and round tables focusing on the spa sector and international experiences, as well as panel discussions to analyse different international markets and their influence on the Spanish market. Also as part of FITUR, the 10th edition of the Forum for Investment and Tourist Business in Africa (INVESTOUR) will be jointly organized by UNWTO, Fitur and Casa África. This Forum aims to promote sustainable development in Africa, while encouraging a dialogue about investment and business opportunities in Africa. Its structure includes two sessions, one a programme of panel discussions and another for business meetings (B2B) to put in African organisations in direct contact with potential tourism projects and international partners. 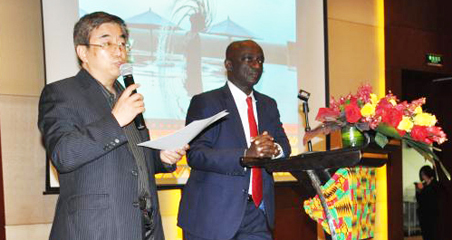 A total of 55 African countries will take part; 384 participants and 47 projects from 15 countries will be presented. A new development this year is the ‘Fifth Tourism Innovation Forum’ organised by Hotusa Group, as part of FITUR, on January 21, to be a meeting point for an audience eager for tourism industry news and trends. Also for the first time, FITUR will welcome the “WTTC High-Level Meeting,” organized by the World Travel and Tourism Council (WTTC) on 23 January, in order to analyse the challenges and opportunities facing the tourism industry in the face of the rapid changes that the world is experiencing. This year’s edition will also be the occasion for the 22nd Ibero-American Tourism Conference, CIMET 2019, which will bring together tourism ministers and entrepreneurs from Ibero-America on the eve of FITUR, and the programme organised by the World Tourism Organization (UNWTO) during FITUR, which, among other activities, will include the final stage of the UNWTO START-UP COMPETITION. There will also be the signing ceremony for the agreement between the UNWTO and the Basque Culinary Centre for staging the Fifth World Forum on Food Tourism and the Product, People and Politics Workshop: Understanding the Success of Asian Tourism, among other events. These activities will be complemented by workshops and presentations by companies and associations, such as: the AECIT-FITUR Technical Research Conference, with the presentation of the Spanish Tourist Business Yearbook (Libro de Actividad Turística Española), and discussion about tourism research trends and a dialogue about “overtourism,” and the presentation of the finalists of the 20th Fitur Committee Jorge Vila Fradera Prize; the workshop entitled Chinese Tourism 2019 Are We on the Right Track? organized by ATEC (Spain-China Tourism Association) and Casa Asia; a workshop on “Challenges for Travel Agencies of the New Law on Package Tours” with FETAVE; the Conference of the Spanish Association of Tourism Professionals, AEPET; the presentation of “International Wine Tourism Strategies” by the Spanish Wine Tourism Association (AEE), and the workshop organised by Greenways Heritage, “Greenways and UNESCO Heritage, Uniting Destinations” organised by the Spanish Railways and Greenways Foundation. And INTERMUNDIAL with the digital marketing agency and travel blog Mochileros TV (TV Backpackers), organise for the first time the event DIGITAL INFLUENCERS SPEED NETWORKING (DISN), that will begin on the first day of the fair with more than a hundred influencers, around a novel networking format (B2i) concentrated in a 120-minute session of eight minute micro meetings. Over the weekend, in addition to the activities around FITUR LGTB, FITUR FESTIVALS and the new FITUR IS MUSIC festival, there will be the FITUR MINDFUL TRAVEL. This event is about transformative and sustainable tourism, and on 26 and 27 January it will cover trends from Spain and around the world that bring together different forms of conscious and transformative tourism models. Meanwhile, in collaboration with MINUBE (My cloud), FITUR will present a full programme of activities for visitors. Among them, the Tenth Edition of the Quedada Viajera (Travellers’ Get-together) on Saturday, January 26, the largest meeting of travellers in Spain which is expected to bring together more than 1500 people, and the Seventh Edition of the Photography Workshop, on January 27. The FITUR STANDS AWARDS will also be presented, awarded for professionalism and the way the stand suits the marketing needs of each product, communication/promotion, how the stand identifies the image and the product, and design; the prizes “24th FITUR Active Tourism Contest” organised by Fitur and Aire Libre magazine with the aim of promoting active tourism products and marketing them both in Spain and abroad, and the 20th Fitur Committee Jorge Vila Fradera Prize, in collaboration with the Spanish Association of Scientific Experts in Tourism (AECIT), which will select an unpublished research paper in the field of tourism. Meanwhile, during Fitur Know-How & Export, the prizes for the tourist apps contest, “The AppTourism Awards 2019” will be presented and the prizes for the First Tourist Chatbots contest, organised jointly by SEGITTUR and FITUR, as well as the Second Responsible Tourism Award, in recognition of the work of tourism companies developing and mobilising environmentally-responsible tourism, economy and local society, organised by the InterMundial Foundation, in collaboration with FITUR. Also, the sixth edition of the international FITUR TRAVEL BLOGGER competition has awarded prizes to O Meu Escritório é lá Fora! (https://www.omeuescritorioelafora.pt) by Carlos Bernardo (Portugal), as the “Most Popular Blog”, and Rojo Cangrejo (https://rojocangrejo.com) by Marta Goikoetxea for the “Best Blog Content.” Both will be guests at this edition of FITUR. 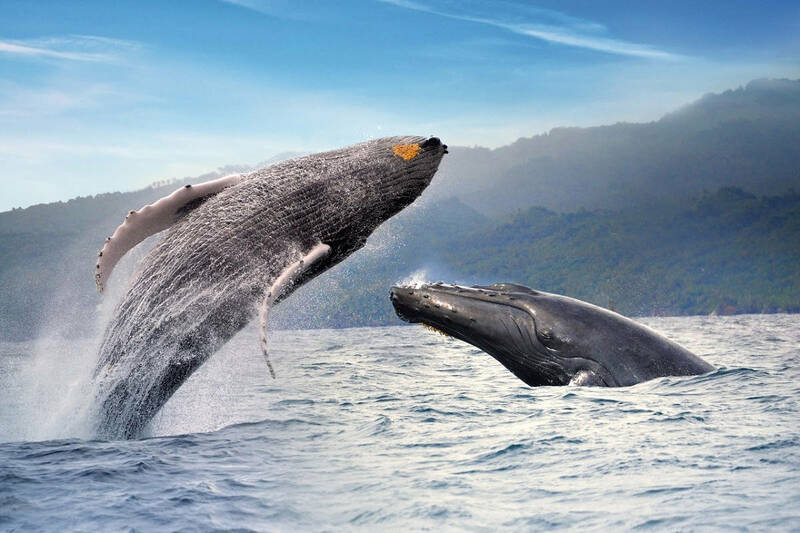 FITUR 2019 also introduces important new developments to improve the experience of the attendees to this edition. One is free connection to the best Wi‑Fi network in Spain as a result of the ambitious project to renew the entire wireless connection infrastructure undertaken by IFEMA that will be in operation ready for this great international tourism event. The scale of this infrastructure, that can support more than 64,000 simultaneous connections at present and will allow up to 100,000 in the future, gives the whole site a latest-generation Wi-Fi connection in all business areas. More than 1100 access points, 2000 antennas, and 90 km of multi-modal optical fibre and cabling installed. For FITUR, this free network service is sponsored by Italy, which in this edition aims to relaunch its position in the tourism market by supporting innovation and technology to meet the needs of tourists.